the one with the red canvas looks OK to me the other ? They look both ok to me, nice one with the canvas btw. Why do you thing there is something wrong with it? Nothing wrong with either badge. The details on the right one don't seem as sharp. But, If you guys say there OK sounds good to me! As has already been mentioned, I see nothing wrong with either badge. They are certainly struck with different dies, but both look fine to me. too bad my paratrooper helmet turned out to be a dud! I know how $29.95 could have saved you some cash on the helmet. I've only recently seriously focused on WW2 Canadian Militaria and I guess should have invested in the proper reference library first. getting burned even by reputable dealers! Anyway, I've spent far too much money on that stuff. I naively thought It would be different with WW2 Canadian stuff. Time for me to be a little more loyal with this hobby to both my grandfathers who served in WW2..
One was in the Cdn Air force and one was in the Royal Malta Artillery. 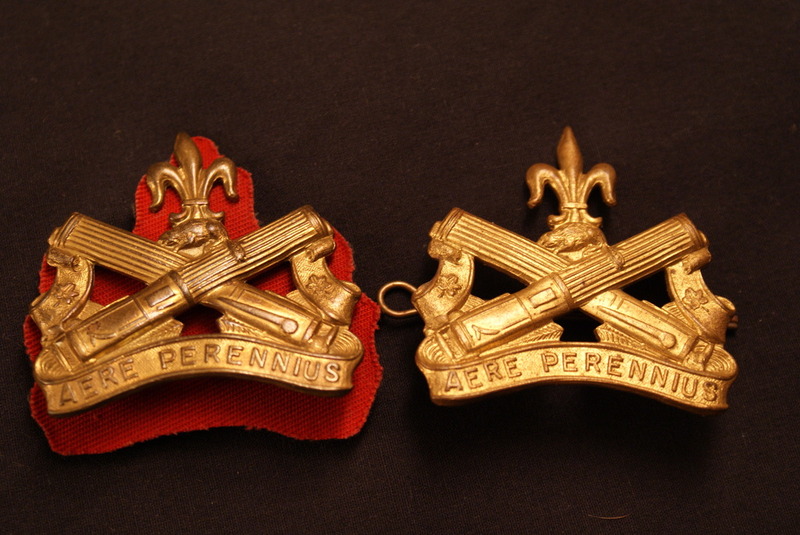 Here's a set of Paratrooper insignia which I hope is OK. The wings are on a dark green backing. 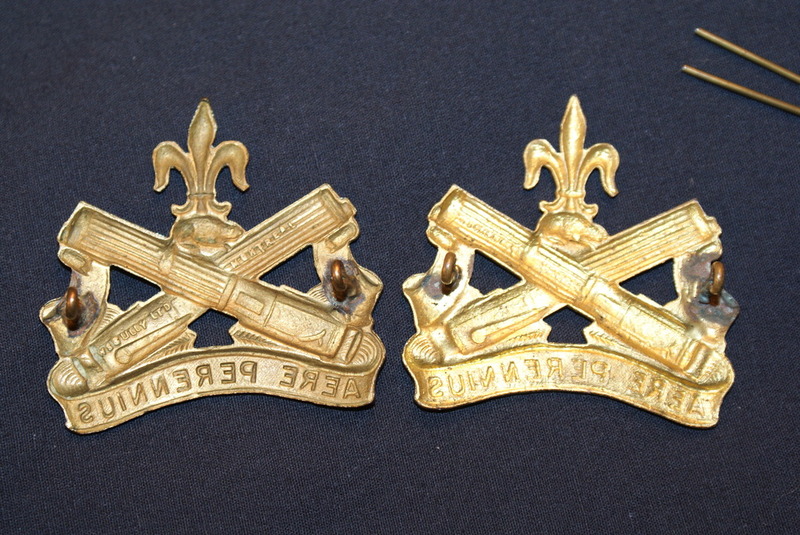 Both appear removed from a uniform. 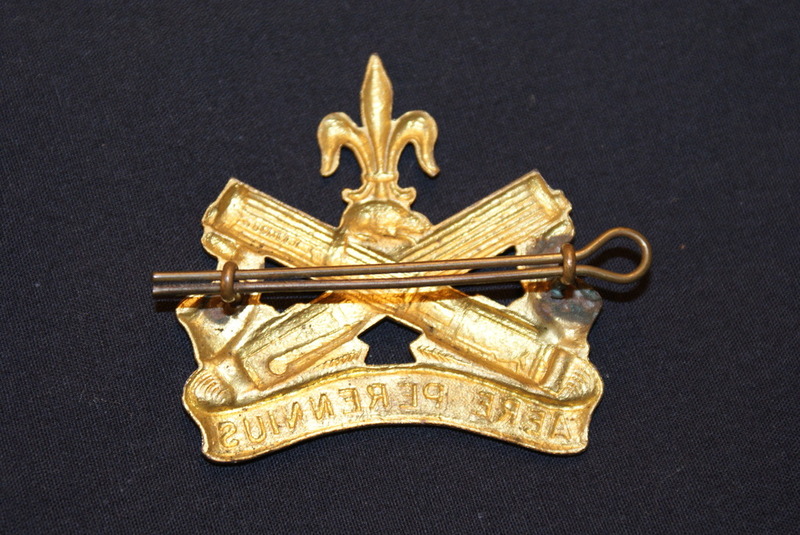 Question Zak, Are you doing Canadian badges as worn during the war? I am not keen on the Pegasus patches, but it is really hard to tell the good the bad and the ugly for these. So the Pegasus patches look post war to you...? 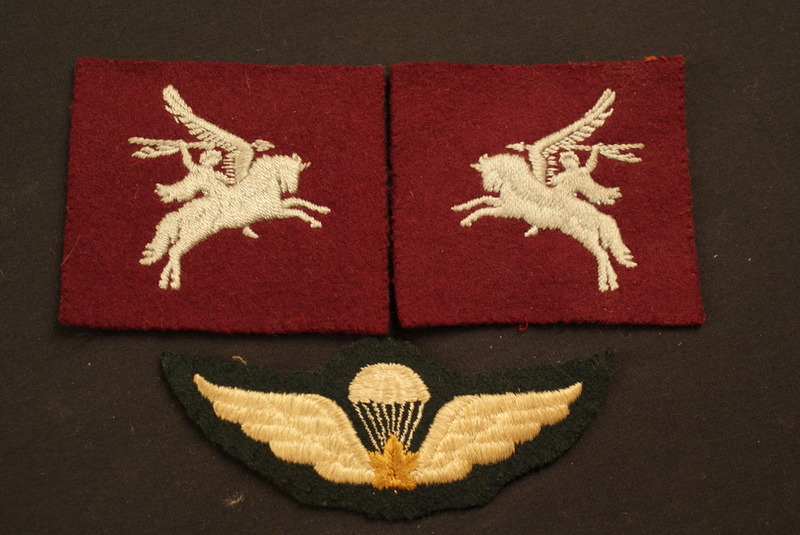 Did war time airborne wings have dark green or black backing? 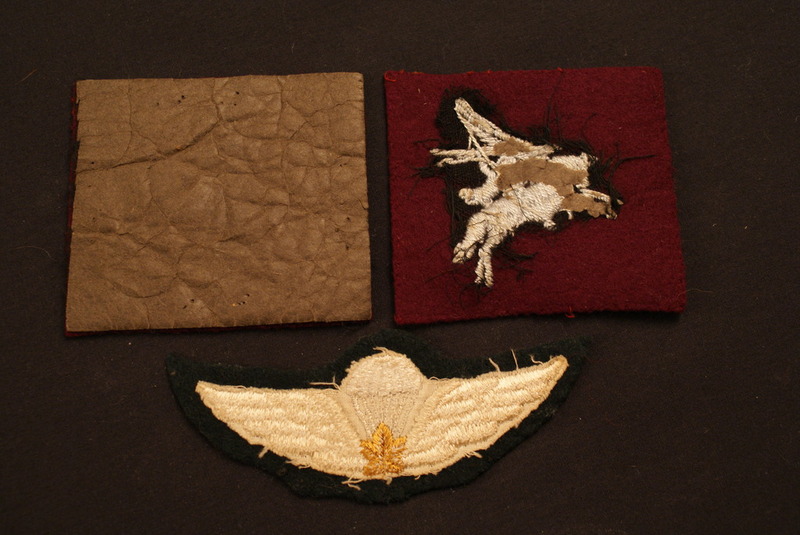 A variety of Pegasus patches were worn. I would not want to say your example is wartime or postwar. zak9990 wrote: Point taken sir!